Knight of Illumination Award-winner and lighting designer Cate Carter has harnessed the precise and powerful beam control of Philips Vari-Lite VL3500 Wash FX luminaires to create a beautifully focused, and surprisingly intimate, show for Elbow at London's 20,000-capacity O2 Arena, provided by Lite Alternative. UK - As boy band sensations One Direction (1D) embarked on the much anticipated 117 date Take Me Home world tour, the tried and trusted production team of Production North, Lite Alternative and Wigwam were brought in to turn the cityscape arena concept of creative designer, Elizabeth Honan, into reality. Depeche Mode are touring the world again, unveiling a new stage design from Anton Corbijn and LD Paul Normandale for the Delta Machine shows. Normandale and moving light programmer Graham Feast picked two new High End Systems Hog 4 consoles to program and operate the show. English indie rock band Bloc Party are currently in the midst of their biggest, most ambitious tour to date. LD and set designer Rob Sinclair is using Clay Paky products through Clay Paky suppliers, Ambersphere, a relationship which goes back through the years. Lighting designer Paul Normandale has field tested Martin Professional's new 1500-watt MAC III AirFX moving head on Jason Mraz's current "Tour Is A Four Letter Word" world tour and found the luminaire to be a highly versatile lighting fixture. The stakes are always high when a band of Coldplay's stature hits the road and creating something visually new and exciting is a constant challenge, but it is one that production designer Paul Normandale is more than equal to. With the band's 2012 tour taking in both arenas and stadiums, Paul has once again chosen an array of Martin Professional fixtures, including the new 1000 W MAC Viper Profile™, to add to his lighting arsenal, which enables him to create a fresh, dynamic look and feel that is a real crowd pleaser. In one of the biggest comebacks of recent times, the Stone Roses chose to work with lighting designer Paul Normandale to design a light and video show to complement their highly anticipated reunion tour this summer. Lighting Designer Paul Normandale is using a Martin MAC rig of MAC Auras™, MAC TW1™ tungsten wash lights, and MAC 700 Profiles™ to light Norah Jones' current world tour. Twenty-two years after their groundbreaking gig at Spike Island in Warrington, the Stone Roses are back, and now in the midst of an extensive reunion tour. Most significant of all, perhaps, were the three mind-blowing shows held at Heaton Park in their hometown of Manchester, where the band proved to 75,000 people each night that their ‘third coming’ is set to be nothing short of phenomenal. Paul Watson reported for this TPi exclusive. When Coldplay first graduated to stadiums in 2005, I thought they were too drab to command the space. They had big songs but little charisma, four earnest men dressed in black in front of a black back drop. No one could accuse them of being colourless anymore. Quite the opposite, in fact, they may be the most colourful band on the planet, with a palette that could make a children's TV set designer queasy. For a one-off performance at Radio City Music Hall in New York, the Museum of Modern Art commissioned Swanlights from Antony and the Johnsons. Led by Antony Hegarty, this production expanded on The Crying Light, which was performed at the Manchester International Festival in 2009.
grandMA2 light was chosen by lighting designer Paul Normandale and lighting director Glen Johnson for James Blunt's "Some Kind of Trouble" 2011/12 world tour which has just kicked off in Europe. 2 x grandMA2 lights are on the tour, running in full tracking back up, with networking provided via 2 x MA NPU (Network Processing Unit). How many men can claim to have been sought after by Colombian music and dance sensation Shakira? Such is the case with lighting designer Paul Normandale. The current Kings of Leon world tour features another innovative design by LD Paul Normandale with all lighting controlled by a grandMA full-size console. Normandale specified the grandMA - as he does on many of his shows - for its stability and reliability. The lighting is being operated and looked after on the road by director Ali Bale - using a grandMA for the first time. Another grandMA light is being supplied by XL Video to run the Catalyst media server playing back video content. Normandale has worked with the band since 2004, each time coming up with a fresh and distinctive visual treatment for the stage, and this - which was nominated for a 2010 Parnelli Award - is no exception. 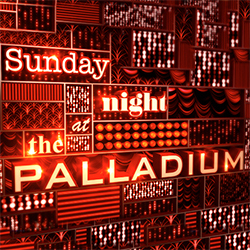 The conceptual look of the show features a large and battered, messed-up looking back wall made up of 640 PAR, nook and raylite fixtures, an idea that came to Normandale because the band like fast cars, so the wall of lights resembles a giant metallic wall of retro headlights in a tribute to American muscle car culture. He also wanted to have a complete departure from a large or dominant video screen or wall at the back. The 640 'headlights' are pixel mapped through the grandMA, and this was another reason why the console was chosen - because this function is so very quick and easy. "It's a wonderful time-saving device," Normandale states, explaining that it only took about 20 minutes to do the mapping plus a further hour of programming, and then they had their main effects on the wall. There is no lighting downstage of the wall, and the band are highlighted by left and right truss spots mounted on the side trusses, and 16 wash lights also from the sides. Ali Bale is based in Australia, so he did his MA training before the tour started in the US, which was followed by pre-programming at Upstaging in Chicago, before production rehearsals. All reports are that he really likes working with the grandMA. The grandMA and other lighting control elements are being supplied worldwide by Blackburn-based Lite Alternative, which is also providing all lighting equipment for the European sections of the tour. Upstaging is the lighting contractor for the US. 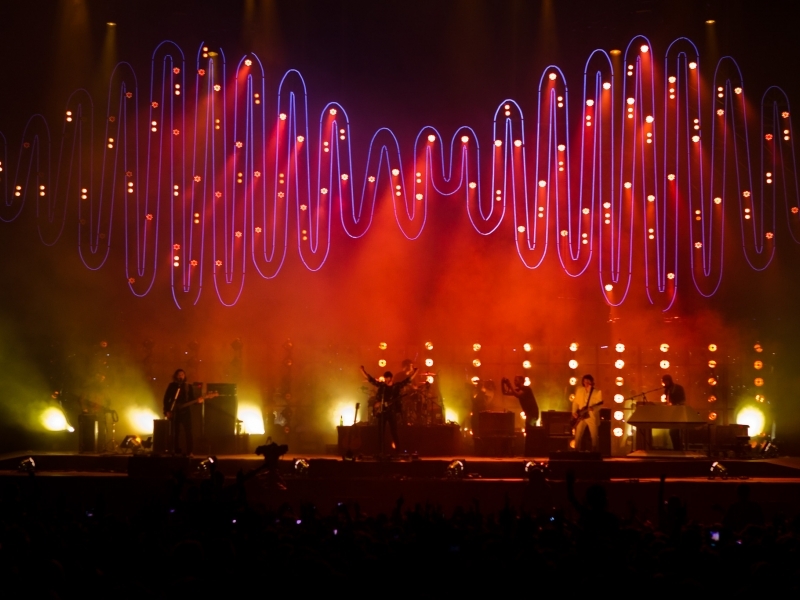 The tour is currently in the US and is scheduled to run until September 2011, with lighting equipment and consoles being supplied in the US and Europe by Lite Alternative. Tasked with animating Paul Normandale’s creative set — incorporating raunchy Mapplethorpe photos within the backdrop screens — was experienced lighting director Glen Johnson, who has worked with many of the world’s leading touring acts (and automated lighting fixtures). Glen Johnson, Set and Lighting Designer for the current Will Young's "Greatest Hits" UK and Irish tour, is using 2 x grandMA2 light consoles to run the show's lighting. The two are networked together, with the first used as the main console, and the second running in full tracking backup. Johnson has used the grandMA2 light on a number of other tours and events this year, including Maximo Park and Tracy Chapman, and didn't think twice about what to choose! He cites the reliability and 'feel' of the console as two principal reasons, plus the "small, compact" working area that it provides, and knowing that it will be the same every day and "not fail on me!" He likes many features of the grandMA2 light. The screens and faders are a "joy" to use and he reckons they are the best of all the current lighting consoles. He's also impressed by the hardware the build quality and the sheer speed at which it saves. He's now experienced a few tours and software upgrades with the grandMA2 light, and with the latest one, is very happy enjoying the power of the new effects engine within his sequence stacks, and watching them slow-fade in and out as required. "The speed in which I can create custom effects using palettes as reference points is perfect," he states, adding that now being able to use WYSIWYG direct via Ethernet in grandMA2 mode was really helpful in the set up process. Command line triggering is also something very useful, with snap black outs at the end of songs and a simple 'go' command that can trigger all his individual key light faders to 0%. "No more half leaning across the desk to swipe all the faders down". The grandMA2 light is controlling a rig of Martin moving lights as well as 35 x i-Pix Satellite and 10 x 48-way CK ColorBlaze LED border lights. Johnson's creative starting point for the design was a meeting with Will Young, where the star - the UK's original Pop Idol who's gone on to enjoy a hugely successful career - indicated that he wanted a clean TV studio look with an all-white floor and everything in the air above black and concealed until towards the end of the show. He wanted some solid white columns around the stage, which Johnson changed to the 7 x white Perspex curved sections measuring 8 ft high and 6 ft wide. Working with Sam Booker at drapes specialist Hangman, they designed the white smoked Pespex sections with no internal frames, so the i-Pix Satellites could be installed to give blocks of light with no ridges. The reflective surface of these also offers the chance to throw the footlights back at the audience. To meet the request to light behind and through black silks and voiles, he is using 10 motorised gauze drops - 5 for black silks and 5 for black voiles. If there were to be a TPi Award for ‘Friendliest Tour’, then there’s no doubt that Depeche Mode would win it hands down. They say that a good vibe comes from the top down, and on this tour it rippled from the good spirit of the band and key production staff, led by Tony Gittins and Helen ‘Hels Bells’ Smith — from the pink and fluffy production office which light-heartedly disguised their incredible organisational and logistical skills. Our trip to Geneva’s Palexpo Arena on November 10 proved that Depeche Mode’s phenomenal 30-year live performance career shows no sign of waning. In fact, the Tour Of The Universe, so named after their 12th studio album, Sounds Of The Universe, raised the bar once again with an innovative set design underpinned by a sophisticated application of LED visuals and technology. Rehearsals kicked off in April in New York and the tour, orchestrated by tour manager Tim Lougee, began with a European leg of stadium gigs launching in Luxembourg on May 6, which required eight trucks from Stagetruck and four buses from Beat The Street. Rock-It Cargo handles freight, Music By Appointment manages travel and Eat Your Hearts Out provides catering. Although gigs had to be cancelled between May 12 and June 7 due to lead vocalist Dave Gahan’s bout of gastroenteritis and a leg injury, it pushed on and headed for the U.S. in July for more stadium gigs. We caught the show shortly after it arrived back in Europe for the latter stint of arena dates that will finish in February 2010. Gittins said the main challenge, besides the logistics of doing nine stadium shows in 17 days in South America, was the practicalities of building a stadium show that could easily be cut down, but create the same effect, for the arenas. To achieve this they designed the show to fit arenas and used scaled down arena stages supplied locally, then added side screens and some synchrolites for the stadium shows, for which they also used local stages, with many supplied by Stageco. The only other elements of the set they toured with were Total Fabrications’ bespoke designed risers and the large demisphere of MiTrix LED from XL Video. For arenas, the number of trucks was reduced from 10 to eight. It must be hard work to make a big barn like Geneva’s Palexpo feel intimate and personal, but for Dave Gahan, it seemed an effortless challenge as he strutted his stuff, paraded his spectacular body art and belted out hit after intricately-worded hit. Depeche Mode’s visuals have always been edgy and innovative, with much of it down to the fertile imagination of their long time creative director, photographer and film maker Anton Corbijn. They were one of the first bands to tour a large scale video set up on 1993’s notorious Devotional tour, which is sadly more remembered by most mainstream sources for nearly ending in shreds of mental instability than as an aesthetic and technical masterpiece. Moving image has been at the essence of their live presentation ever since and few do it better than Anton Corbijn. Corbijn evolves the video for each tour in an imaginatively cerebral fusion of expression and ideas, always avoiding the latest technological clichés and using it as another spatial thread of the show in which the audience can engage. Tour Of The Universe has continued in that same understated, thought-through style, starting with eight short movies produced by Corbijn presenting intelligent visuals, neither over-used or over exposed. Corbijn also designed the minimalist stage set consisting of low level risers and instrument stands, a large upstage MiTrix screen, with a 3m x 3m MiTrix sphere flown just in front of it. The main screen literally disappears when the back lighting behind it kicks in, transforming the nature and feel of the performance area. Joining Corbijn’s visual dream team is lighting designer Paul Normandale, video director John Shrimpton and lighting director Graham Feast who is out operating the tour. Normandale and Corbijn have worked together — on DM and other projects — for over 10 years, so they enjoy a very fluid creative dialogue and chemistry. Corbijn already had a few ideas and a very clear vision on the table for the tour when the initial design meetings between him and Normandale took place. He wanted to have the spherical “communicator” — an idea that was initiated on the Fallen Angel tour three years ago — and strong, simple aesthetics to define the space. In pursuance of the “sparse” look, it was essential that lighting didn’t interfere with video, specifically the playback movies, but could add impact, dimension and hold its own as required. 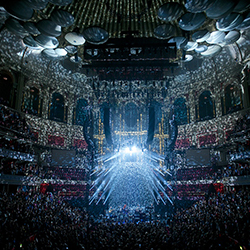 An original Corbijn and Normandale visual concept was to change the shape and perspective of the stage with both lighting and video mediums, and this was one of many memorable impressions taken away from the show, with different areas of the screen utilised throughout, together with lighting from different areas of the rig. Normandale’s design mixes a heterogeneity of instruments, some contemporary, like i-Pix BB4s, and also some classics like Mole Richardson Molebeams, six of which sit upstage of the band — chosen for their antique filmic appearance and “wonderful” organic beams, which are pretty pokey from the 2.5kW light source. Graham Feast and Normandale programmed the lighting during the initial production rehearsals in Luxembourg before the start of the tour back in May, cross referencing each song meticulously with Corbijn’s screen visuals. Overhead were four upstage/downstage trusses sub-hung with bespoke curved ladder beams constructed by Total Fabrications. Each one of these was suspended in a Liftket motor and four points of Kinesys automation (operated by Dave Jolly). These glided in and out during the show, very effectively shutting down the space. The four curves were rigged with Martin Professional MAC 700 Profile moving lights. Two side trusses (left and right) were trimmed at 11’ off the stage, each loaded with five MAC 700 Washes, used for slicing across the stage and very effective low level washing. Up in the roof on the trussing ‘mother’ grid were 10 Atomic strobes with scrollers. Upstage of the 60’ wide by 30’ high MiTrix screen was a bespoke framework arrangement made from standard Lite Alternative one metre wide interlocking frames, totalling six high and six wide. This was rigged with a combination of 24 MAC 2000 XB Washes, 24 i-Pix BB4s and strobes. These blasted through with massive impact and disappeared back into oblivion when the MiTrix kicked back in. The floor had been kept clear of lighting for previously stated reasons, apart from eight MAC 2000 XB Profiles behind the band. The low level risers were all fitted with custom LED skirts, and 12 i-Pix satellites were scattered around the risers and used for coloured up-lighting on the band. No Normandale artwork would be complete without some signature Omni floods on sticks, of which there were 12, scattered around the outskirts of the stage, and then there were the six Molebeams along the back. There was also a plethora of 4-lite moles dotted all over the various trusses. These were for audience “moments”, but had been carefully positioned to avoid the usual stereotypical blinder looks. Feast ran the show from a Hog III console, picked primarily because that’s what lighting and Kinesys system suppliers Lite Alternative had in stock at the time. He commented that it had been hugely interesting working with Corbijn and Normandale, observing their creative insouciance and the resulting amalgamation of video and visuals. Lighting and video designer Derek Jones specified a Jands Vista S3 console to provide lighting, I-Mag and video control for the 2009 / 2010 Cliff Richard & The Shadows international tour. The sold-out tour recently completed shows at major UK and European arenas, and re-commences in February for a series of dates in Australia, New Zealand and South Africa. 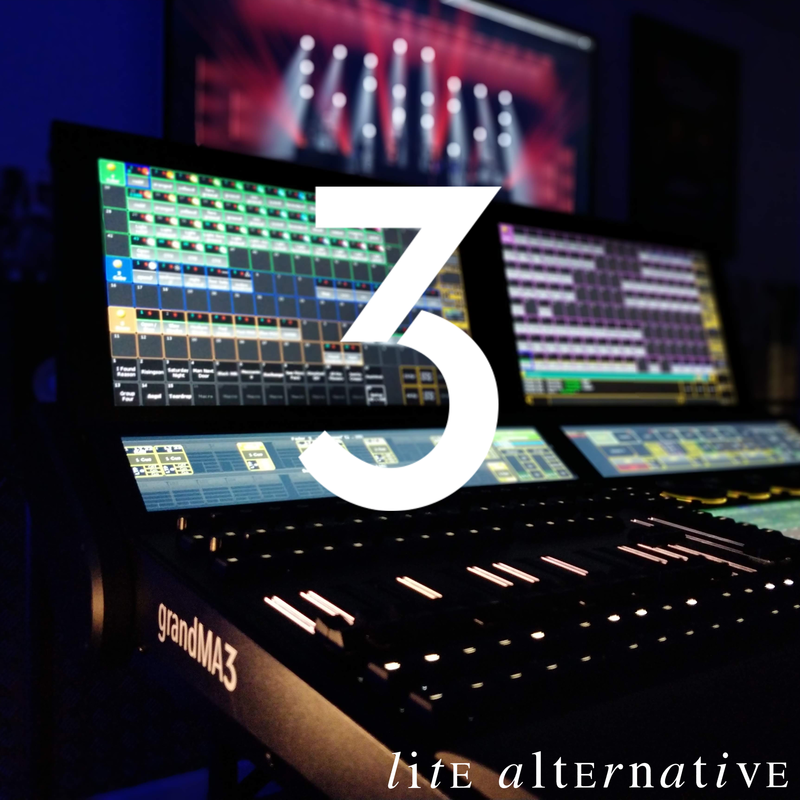 When Derek discussed the choice of control console with UK and European tour lighting supplier, Lite Alternative, they suggested the Jands Vista S3. Having jumped between using many other consoles, Derek thought it would be a good opportunity to experience for himself the Vista’s graphical based approach to programming. On the strength of trying the free Vista demo software and then using the S3 for a one-off corporate show, he purchased a console to use for the tour. Having worked separately for both Cliff Richard and The Shadows over the past ten years, Derek was keen to design a show which suited both acts’ visual style, so he incorporated a mixture of traditional and high-tech show elements. Derek wanted a multi-functional scenic / I-Mag backdrop to save on truck space and provide a dynamic above-stage show replay system which would give the audience a central view of the I-Mag. 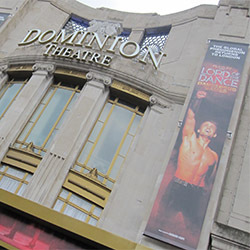 He specified a 13.5m wide by 4.5m high PixLED screen, supplied by XL Video UK. For the lighting, he opted for a goalpost truss surrounding the screen featuring MAC700 spots and MAC2000 washes, 19° ETC Source Four fixtures and additional floor-mounted MAC700 units. Video came from a Catalyst media server. The lighting, video and live camera feeds were all triggered from the S3 console. GLP's new Impression 120 RZ Zoom has made its touring debut this month on the Yeah Yeah Yeahs' high profile UK theatre tour. The first 10 fixtures (each combining 120 RGB LED's) were supplied to Lite Alternative by GLP dealers, AC Entertainment Technology. And with LD Matt Arthur inheriting the pre-existing American stage set (which included the original GLP Impressions on the technical rider) he took the opportunity to upgrade to the automated optical zoom function, with 10° - 26° light distribution angle, principally to accent the set design's unusual eyeball feature with minimum spillage of light. Each show featured six Impression Zooms, suspended from the mid truss for maximum stage versatility, with a further two used selectively as ground effects. Jon Greaves, hire director of the Lancashire-based rental company, said that GLP's Mark Ravenhill had been instrumental in them making the investment decision. "We respect Mark a lot and his arrival at GLP helped raise our awareness of the product." Ravenhill offered Jon's partner, lighting designer Paul Normandale, the opportunity to evaluate the range at an arts event with Antony & The Johnsons at the Manchester Opera House. "This gave us a chance to get hands-on with the products for a week," said Jon Greaves. "We liked the Impressions but we liked the Impression Zooms more. And since there were standard Impressions already on the Yeah Yeah Yeah's technical rider we saw the opportunity to supersize it." He acknowledges that the fixture takes the use and application of LED to another level. "We were delighted to have the first batch of ten into the UK and to find that we can fit five units into each of our Lite Alt custom flight cases." Depeche Mode are one of the most successful, influential, longest-lived bands that have emerged from the early 80's. In October 2008, they announced their 15th tour: Tour of the Universe. Depeche Mode's first-ever stadium tour kicked off in Luxembourg in May 2009, following the release of their twelfth studio album the month before. The stage is a visual feast, designed by Paul Normandale and Anton Corbijn, with lighting controlled by Wholehog 3 consoles and a striking MiTRIX video wall. 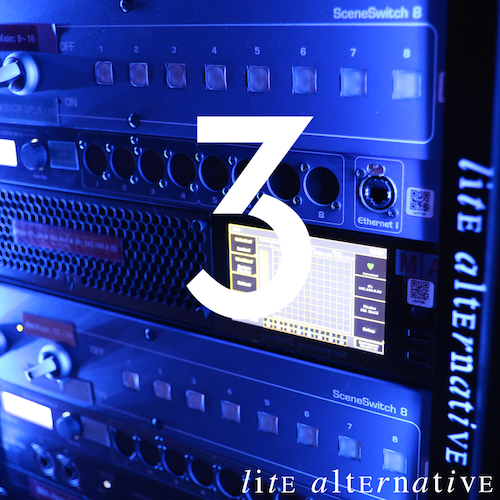 Lite Alternative was founded in 1990 by Jon Greaves and Paul Normandale, and over the years, they have arranged lighting for numerous bands, including Coldplay, Pixies, Björk and Kings of Leon. This year, the company was asked for the third time to support Depeche Mode. The Tour of the Universe is Depeche Mode's first ever stadium tour, with dates in Europe, Asia, North America and South America. Lighting designer Paul Normandale worked closely together with Anton Corbijn, the band's longtime creative director, to create a visually overwhelming stage, powerful enough for the outdoor stadiums. Their setup features a number of Barco products, in both video and lighting. 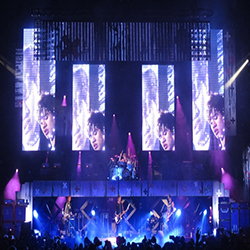 The set and stage concept by Anton Corbijn is primarily dominated by a huge MiTRIX video wall, provided by XL Video, covering the entire width of the stage. The wall is 28 panels high and features a three by three meter MiTRIX ball in the middle. The entire video wall is used for playback and video animation with the ball giving an ex- tra dimension, like magnifying effects, to the images projected. When asked about the challenges in lighting design, Paul Normandale comments, "The Depeche Mode tour is an outdoor stadium tour, so weather and sheer power have to be taken into account when designing. In addition, the lighting had to be impressive enough for big stadiums with room for 60,000 to 80,000 fans each time. This adds a different dimension to lighting, compared with working for smaller venue tours." 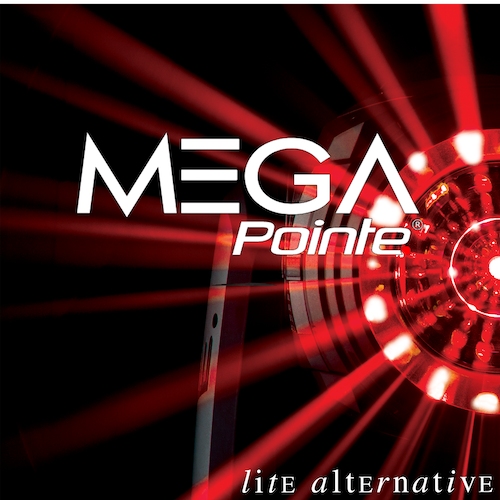 Field-proven Wholehog technology to control all lighting equipment, Lite Alternative has again chosen Wholehog 3. Jon Greaves, hire director, Lite Alternative explains, "We use the Wholehog consoles for all our main concerts and Depeche Mode is no exception to that. We have been working with these consoles for about six years now and have always had successful tours with them. The extra wings make it a very powerful and robust system that comes together in a neat FOH package, perfect for live shows." The comprehensive feature set included within Wholehog software gives designers and programmers all the tools needed to get the job done. The intuitive user interface and common key layout provides quick and familiar access to both programming and playback routines. Paul Normandale adds, "Programming had to be simple and quick and had a strong reinforcement of the large MiTRIX video wall. The setup included very sophisticated cueing, which works extremely well with the Wholehog 3. The combination of all these features makes the Wholehog the perfect choice for running the Tour of the Universe." The current Tracy Chapman tour lightshow has been re-programmed on to the new grandMA2 platform for its European and US legs. The show - which has been out since last year and is reaching its final stages - is designed by UK-based Paul Normandale. It was originally programmed onto a grandMA full-size by Canadian Lighting Director/Operator Graeme Nichol. Due to other commitments, he couldn't work the final sections, so the role of lighting director was assumed by Glen Johnson from the UK. Johnson had just been using a grandMA2 light on the Maximo Park tour, and was very happy running the version 2 software, while rental company Lite Alternative has also just invested in grandMA2 consoles. So he and Normandale made a joint decision to re-programme the Chapman tour onto grandMA 2. Johnson did this using a grandMA2 ful-size and a visualiser, which was particularly helpful, and it took only a day. "It's not like you are learning a new console - all the features that everyone loves from the grandMA ‘series 1’ are great on the grandMA2". He then transferred the show onto a grandMA2 light for the European tour, taking another light for backup - supplied, together with all the lighting hardware by Lite Alternative. In the US, Chicago-based Upstaging is supplying two grandMA2 full size consoles. Johnson is a great fan of the grandMA2 system, and there have been two software updates since the Maximo Park tour which have added yet more features and functionality. He specifically likes the large, tactile touch screens, and the fact that the console is completely user-configurable. "It's hugely flexible and provides you with big, simple building blocks that you can set up exactly as you like". The faders are "gorgeous" he says, adding that he keeps being impressed by the speed and ease of programming. He thinks the light is an ideal "compact and neat" size for small to medium tours and venues ... and of course, above all, "Really reliable". Normandale's design breaks the mould of traditional cued light shows, and follows a 'passage of time' concept, based on a sunrise and sunset taking place over a 45 minute crossfade, denoting a journey of progression that is independent of any of the songs. The rig is a mixture of Martin moving lights, 9 x 48-way ColorBlaze LED strips run in multi-cell mode, 12 MR16 birdies, 10 x profiles and 9 x 1000 Watt light bulbs dangling on different length cords over the stage. These are controlled by the artist via a footswitch pedal that fires one of the grandMA2 cue stacks. The sun is projected by various different fixtures - according to the time of day - onto a white upstage cyc, its movement triggered through the console via 20 cues in the sunrise/sunset stack. It rises on stage right and sets on stage left. All the cue stacks all have multiple timings applied, which is extremely easy to do with the grandMA2. The console is also triggering 4 layers of video content stored on an Arkaos media server. It's one of the many quirks of Antony Hegarty's career that, almost four years after his Mercury prize win, things that once seemed extraordinary about him have become strangely normal. Live, you expect there to be an element of makeup-spattered performance art, which there is: one of his old Manhattan cohorts does a dance to In the Hall of the Mountain King. You expect the concert to be beautifully staged, which it is. You never notice the lighting at rock shows, unless a spotlight falls off the gantry and hospitalises the bass player, but this is quite the most beautifully lit gig you could wish for. The band cast dramatic shadows on the back wall of the stage, and the show begins with Hegarty's voice ringing out from a stygian gloom, which you also somehow expect: it fits with the aura of high seriousness that surrounds his songs. Even the T-shirts on the merchandise stall bear the legend "CRYING". And yet Hegarty is still capable of springing surprises, not least his extensive knowledge of west Sussex: "Anyone from Arundel?" asks the singer, born in Chichester. "What about Midhurst? I went to pre-school in Worthing." Perhaps it's the proximity to his birthplace, or the fact that Brighton is, as he puts it "quite a fruity city", but he seems in an oddly frivolous mood, interrupting For Today I Am a Boy after a few lines with an anecdote about his conception. Bantering with the audience, he is charming and funny, which throws his music into sharp relief. Hegarty's singing voice sounds unfamiliar and remarkable once more: songs from his latest album, The Crying Light, which seemed a little slender on record, suddenly bulk up on stage. He has an enviable ability to turn the mood around in short order. The audience go from laughing to rapt, never more so than during a spellbinding version of I Fell in Love With a Dead Boy. The song pauses midway through: for what seems like an age, the venue is utterly silent. "They didn't teach me that in Worthing," Hegarty says with a smile as the song ends and the audience erupt. Lite Alternative has purchased 4 Novalight Nova Flower fixtures from UK distributor Lightfactor Sales, which are in action on the UK and European legs of Coldplay's acclaimed "Viva La Vida" world tour. The Nova Flowers - a high powered fully programmable ‘flower effect' with DMX controllable pan, tilt, colour shutter, etc - are positioned upstage of the band, and used sparingly, but for some spectacular back lighting effects and aerial impact. "I needed a hard edged gobo fixture that would cut over (output wise) a floor-based array of ten 2K moving wash lights, rigged on the same plane as the Nova Flowers" explains Normandale. He's not used them before, but is impressed with the results and the reliability. Mark "Sparky" Risk initially lighting directed the first legs of the tour (now taken over by Fraser Elisha), and he comments, "They create nice big aerial beams and because they move and change colour, are proving extremely dynamic" - without the need for accoutrements like shutters or colour scrollers. Risk likes the colour cross fade on the units, adding that they have a ‘big light' effect with more scope than a traditional power/breakup unit like a Dominator. As they are used very much as moving lights on Coldplay, they also appear very different from the other fixtures to the audience. Rick echoes Normandale's comments about their robustness so far on tour. In some numbers of the set, the Nova Flowers have their beams shooting down across the stage, closing in the space and making it more intimate for subtle moments. 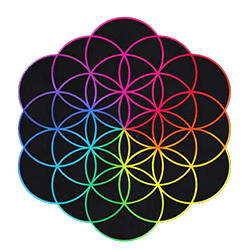 Coldplay are currently touring the US with lighting provided by Illinois based Upstaging, who have also purchased 4 Nova Flowers. They hit the UK in December. The Nova Flower is manufactured by Novalight in Italy and uses a 1200W light source, offering CMY mixing, rotating reflector (in both directions), pan/tilt and remote lamp re-strike. Nova Flower is trolley mounted for rapid rigging onto a truss, and can also be used in stand alone mode programmed via the display buttons on its base. It has a weather-resistant IP 43 rating. “Where do you get your ideas?” The question is trite, perhaps, whether you’re a novelist or a lighting designer, but it gets asked so often because the answer is so mysterious. For lighting designer Paul Normandale, it’s “the most exciting part of what we do” — that outpouring of creativity in the “scribble-CAD-to-fruition” zone. For Coldplay’s Viva La Vida tour Normandale designed the lighting, Mark “Sparky” Risk served as lighting programmer/director, and Justine Cat-terall worked as part of the video content production crew. Here are a few details on how they achieved the looks for the tour. BRIT and Grammy award winning artist Mark Ronson has recently wrapped up a UK tour before the wave of summer festivals kick in. Alongside his phenomenally successful record label, DJ and producing career, Mark is also a persuasive performer who puts everything into his shows. As you would expect, someone with Mark’s energy has a serious hands-on approach to lighting his shows. For the tour he sat down with Matt Arthur, who together with Lite Alternative fleshed out a light show which, like his music, uniquely referenced other great performances. 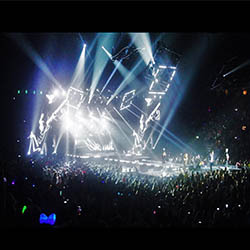 Lighting choices for the tour included Martin MAC TW1™, MAC 700 Profile™ and MAC 250 Wash™ fixtures. Matt explains Mark’s desire for a 60’s look and feel to the show as “a retro ‘bandstand’ look that was away from rock and roll lighting. The show was very brass and soul orientated and this fit together really well with the lighting,” he states. “I went away from our meeting and researched some of the old bandstand television shows on YouTube and other places for inspiration,” he continues. “From this we ended up with a retro, multi-tiered stage with rises ranging from two to five feet and red drapes everywhere.” The band was arranged in a ‘V’ shape behind Mark. Martin MAC TW1 tungsten washlights were used as both spotlights and washes with 5k Fresnel’s with LED inside and barn doors incorporated for an old school look. MAC 700 Profiles were split over three trusses with MAC 250 Washes on the floor and upstage behind the rises and video screens. 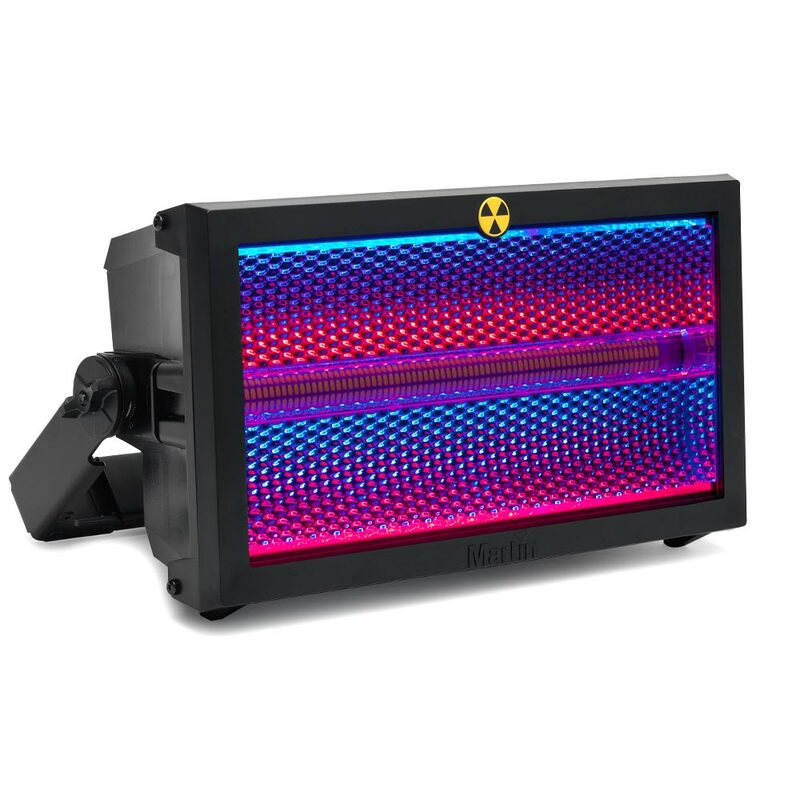 The MAC TW1 is a powerful, silent tungsten wash light that is regularly specified by LDs in theatre environments and increasingly on touring shows worldwide. It features a clean and even soft-edged beam, motorized zoom, rich CMY color mixing and can be run from either a built-in dimmer or external dimmer. Matt, who originally hails from the warmer climes of Australia, concludes, “There were no dramas and they all worked well. They were easy to set up and they’re quite light.” Matt will be working with Mark on some of his upcoming summer shows. Let’s hope this summer reminds him of home. James Blunt is out on an extensive world tour in support of his second album “All the Lost Souls,” again under the lighting tutelage of Paul Normandale of Lite Alternative Design who is directing a rig of Martin MAC luminaires. Paul is lighting and set designer while Glen Johnson handles lighting direction and programming. Paul’s typically extraordinary design involves frequent alternations of the look and feel of the stage through lighting with different visuals for each song. At his disposal are Martin MAC 700 series luminaires along with Martin MAC TW1 tungsten wash lights, which Paul has placed across the front truss for key lights, specials and even audience moves. The MAC TW1 is a silent, 1200 W tungsten wash light that is increasingly being specified on touring shows worldwide. It features a clean and even soft-edged beam, motorized zoom, rich CMY color mixing and can be run from either a built-in dimmer or external dimmer. Hard edge projection on the show is delivered by MAC 700 Profiles with MAC 700 Wash units (arena shows) and MAC 250 Washes (theatre venues) laying down the color. 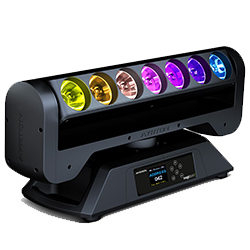 “The MAC 700 Wash’s color wheel speed is fantastic,” Glen comments, “and with its soft uniform beam edge this has to be my favorite Martin product at present.” Lighting supply for most of the dates outside the US is from Lite Alternative with Upstaging supplying the US leg. “All the Lost Souls” is truly a world tour having played in the UK, US and Europe earlier this year before stops in China, Japan, Korea, New Zealand, Australia, Singapore, Hong Kong, Taiwan, the Philippines, Indonesia and South Africa. European festival dates begin in June, and then it is back to the US through the summer before returning to Europe this fall. A Catalyst V 4 digital media server is at the core of Paul Normandale’s visual design for the 2008 James Blunt world tour. It’s the first time Catalyst has been used on James Blunt – replacing a previous digital media server, and is being operated on tour by lighting director Glen Johnson, who is also running lights and overseeing all the design aspects of the show. Catalyst is proving a highly flexible option, both for setting the tour up and for its ongoing evolution. “Using Catalyst allows daily onsite editing and scaling, and also the development of images for colour palette and the various media surfaces,” says Normandale. The tour was conceived for American arenas and has been scaled accordingly for the European section. The design had a regal theme, using Blunt’s family coat of arms, along with the monkey symbolism of the album and the desire to progress the show in a series of scenes. These involve cyc projection, red stripes and the 108 square metres of 250 mm ColorWeb LED, all of which play a part in a series of reveals, adding depth and dimension to the stage. In addition to the Catalyst, they have a PixelMAD system also supplied by UK Catalyst dealer Projected Image Digital running as a stand alone machine, which is supplying content – via 13 DMX universes – to the ColorWeb which flies in and out during the show. Being transparent, this is also used for some leftfield 3D effects with video running on the surface and lighting punching through from behind. Also feeding into the Catalyst at FOH – via two LFG Input cards with 4 composite inputs on each card – are 8 lipstick cameras positioned around the stage focussed on the band members plus one robotic camera, operated by Richard Jewell. All of these are split out into widescreen format and scaled, treated and affected in the Catalyst. The scaling and compression facilities of both Catalyst and PixelMAD have been instrumental in making it possible to run the show in the manner, and images have to be sized and re-sized constantly and consistently through the set. The first song has all 8 cameras projected across the screen for a very clean camera mix, using 2 Barco FLM projectors supplied by XL Video. On the 9th layer Johnson uses one feed to overlay Blunt’s head across the whole area. For “Carry Me Home”, he runs one layer of water effect, with the second layer a camera source shooting into a dark spot of the stage with Blunt in the middle. This is then set to transparent black, letting the water effect flow all around Blunt. For the final section and the anthemic disco song “1973” the footage is a funky psychedelisation of unseen off-cuts from the promo video which have been solarised and negatived in the Catalyst, with fluorescent retro colours applied. On the practical side, Johnson comments: “Both Catalyst and PixelMAD are excellent and reliable and have obviously been built for touring.” Johnson is using a WholeHog 3 console for control, and all lighting hardware for the tour is supplied by Lite Alternative. Sound is supplied by Skan. Canadian indie rockers Arcade Fire’s world tour continues, having just finished its latest US and now hitting the UK again, with lighting, set and video designer Paul Normandale’s striking visuals making the most of 38 i-Pix Satellite LED fixtures. Normandale is well known for his innovative and original approach to lighting and visual design. For this tour – which started back in March – he decided to have 10 Satellites inbuilt into customised 5k Fresnel fixtures, essentially giving an old lamp a new look and lease of life with its new lightsource. These are flown on the rear and mid trusses – or stand-mounted for the festival version of the rig - and used for set looks. Engineered by Normandale’s company Light Alternative, who are also supplying lighting kit to the tour, creating these new and special fixtures appealed to his sense of “the unexpected”. A further two floor-mounted Satellites are used to up-light the organ, and the balance of 24 are mounted under a series of transparent risers including the drum floor, up-lighting anyone standing overhead. Normandale has used Satellites on many previous occasions – in designs for Bjork, Crowded House and Paul McCartney – and likes many elements including their “size, cost, inbuilt power supply, brightness and daisy chaining ability”. The tour is the band’s first major production run, flying high on the back of their acclaimed second album ‘Neon Bible’ and has seen them selling out 25,000 seater venues in the US. The show is operated by John Chiodo using a Hog 3 console, and all lighting equipment is supplied by Lite Alternative. The harmonies of Crowded House have reunited in song on a worldwide tour. In control of the show are two Wholehog 3 consoles. Lighting Designer/Set Designer Paul Normandale and lighting director Glen Johnson have carried Wholehog 3 consoles on a number of tours the past few years. Says Johnson, "Its Only Natural (referencing a favorite Crowded House song title) that I would choose the Wholehog 3 console again for this tour after my faultless year with it on James Blunt." Lite Alternative provided the two Wholehog 3 consoles, along with two Playback Wings, a full-size Expansion Wing and 2 DP 2000s. Upstaging is the lighting contractor on the US tour. 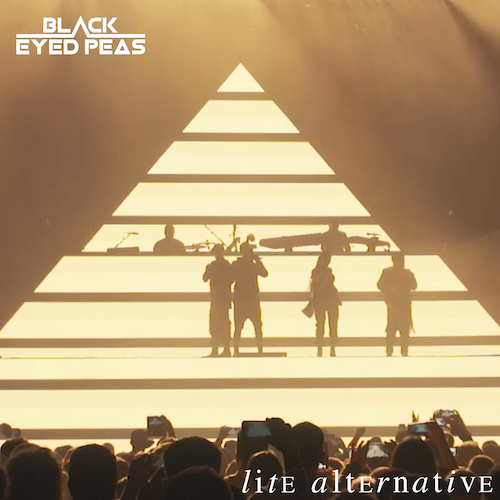 whilst Lite Alternative will handle the European Arena tour. "Crowded House have a catalog of 100-plus songs with over 70 programmed in the console," Johnson explains. "While I am given a set list every night of 20 songs, it is very rare for them to keep to the set, and even if a member of the audience asks for a song the guys can play it immediately. 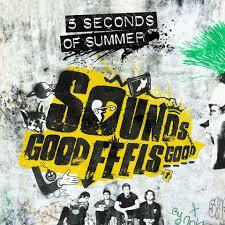 They even change their positions of instruments on each song depending on how they feel." He continues, "The Wholehog 3 allows me to keep to Paul's lighting design and set layouts even though all the band are changing things every second of the show. This allows them to be completely free to do as they wish and keep with the tradition of 'you never know what is going to happen' on a Crowded House show. I use the Position Palettes a lot, with each song stored here also (as well as having its on Master Cue List) so I can overlay into the programmer the effect, color and position live, quickly and simply, depending on where they are in the set changes." "The first three songs are performed to a mid-stage black silk, but I can still use Paul's concept for the lights, by running most things in the programmer and running with Fade Changes. The timing in the Position Palettes is a godsend." "We also have a 40-foot wide Serpent which drops in for six songs, a 18-foot long Caravan appearing during the encore, a pop up Tree, custom made half-mirror balls with band names, and finally three 18-foot Skyscrapers which appear from the floor. All of this happens around a set where you never know what is next, which makes this one of the most enjoyable tours I have been on." Johnson says he uses the Gel Picker completely though programming allowing Paul to pick his color from gel numbers. "Having all the gels laid out for you with more than 70 songs makes for a differnet look for each of the songs," he notes. "The console's reliability makes me feel completely at home with programming and running stacks all night on the fly. I have had a Wholehog 3 now for over 3 years, and the changes under the bonnet are truly amazing and continue to push the console far past any other I have used. That is the sole reason I specify them all the time." Johnson will start James Blunt's 2008 tour in January for LD Paul Normandale. With Wholehog 3s again, and Lite Alternative. It's only natural. When thousands of people sing out loud the name of the German town “Bochum” you know, that you’re at a Herbert Grönemeyer concert. With legendary songs like “Bochum” and “Männer” (Men) as well as many titles of his new album “Zwölf” (Twelve) the German star is touring Germany – from May to June, from Leipzig to Bern, 23 concerts, 18 towns. Grönemeyer easily fills even the largest arenas. Two million people saw his last tour. The lighting of the open-air concerts was done by Günter Jaeckle and Paul Normandale, who both used products of MA Lighting for the show. “A reason for selecting the VL6 spot was their low weight and their slim shape. Because the stage is already heavily loaded by the video wall we had to save weight. It delivers a brilliant light also,” relates Jäckle watching the rig. This contains more interesting details. During the second half of the show, two truss circles move in front of the video screen. “By doing this we had another show element besides video.” As the circles interact they are illuminated by their moving lights. Furthermore another five truss elements which resemble aeroplanes could be moved. The “propellers” are formed by 8-lite blinders, the “cockpit is dominated by a follow spot, under the “wings” are Vari-Lites and Atomic Strobes dangling. During the concert these five “pods” are moved overhead and in front of the screen. Herbert Grönemeyer more than once demonstrated during his concert that this flexibility is really necessary. All the time he reacts to his audience, plays with it and varies his songs. Günter Jäckle and his team were very relaxed behind their grandMAs. Procon Rental & Project GmbH and the VLD GmbH delivered the lighting equipment. Tobias Kühnel works as production manager, Olaf Schröter is the production chief. The management is done by Büro Klaus Ulrich, the tour management is done by the Marek Lieberberg Konzertagentur together with the Dirk Becker Entertainment GmbH. Sir Paul McCartney played the Electric Ballroom in London's Camden Town on June 7th, the first of few low key gigs in London, New York and Los Angeles. At just a week's notice, Lite Alternative stepped up to supply the lighting for the show with Paul Normandale designing and operating, and Fraser Elsiha as crew technician. Normandale, who described the event as "a unique experience", specified a rig containing six Martin MAC 250 Entours, 10 i-Pix LED RGB blocks, 10 ETC Source Four profiles and a Unique Hazer, all controlled form an Avolites Pearl 2004 Console. Flying Pig Systems' Wholehog consoles were at the control for all performances during the Radio 1's Big Weekend. 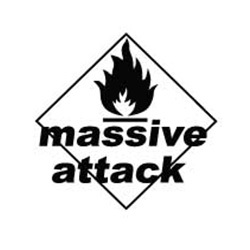 The two-day festival featured three stages of acts, broadcast live on radio and TV 19-20 May from Moor Park, Preston, UK. LD Paul Normandale designed the entire production, specifying a Wholehog 3 with Expansion Wing for the main stage 1 (with lighting director Glen Johnson), Hog iPC with Wing for Stage 2 (lighting director Matt Arthur) and Hog iPC for Stage 3 (lighting director Alex Johnson). Lighting director Glen Johnson, who handled the main stage with Normandale, says the Wholehog products were "absolutely brilliant. The consoles ran nine hours a day doing live broadcasts and were 100 percent reliable. The Wholehog 3 Expansion Wing is rocking. I love how you could see the cue list clearly, compared to the old Wholehog 2 Expansion Wing. In fact, we're looking at buying two Expansion Wings now." 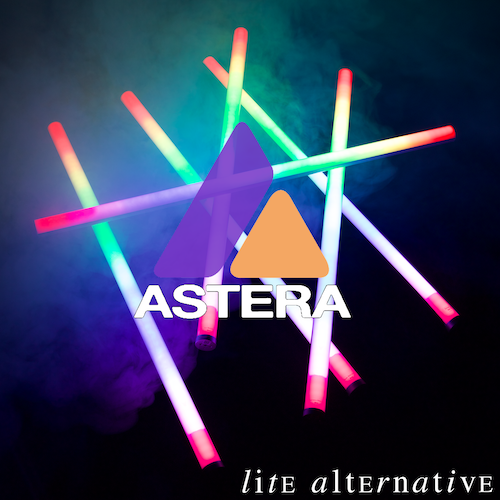 Lite Alternative UK provided all the production. Acts included Kaiser Chiefs, Stereophonics, Razorlight, Scissor Sisters, Bloc Party, The Fray, Kasabian, The View and many more. 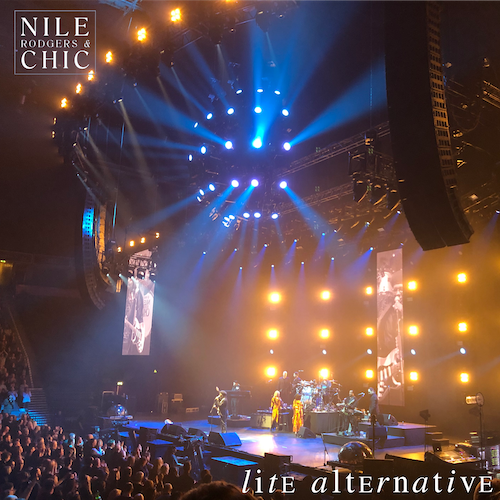 Lite Alternative is currently providing Wholehog products on tours with Bjork, Crowded House, Nine Inch Nails and Arcade Fire, all designed by Paul Normandale. Martin photographer Allan Toft catches up with the tour on one of its last North American dates at Staples Center in Los Angeles. Depeche Mode have followed their successful album Exciter with a world tour that sees them playing 80 dates around the globe. Lighting designer Paul Normandale has masterminded an extraordinary light show that incorporates a unique combination of Martin effects with giant video projections by artist Anton Corbin. Using Martin’s MAC 2000 E, Normandale and his collaborators have set new standards for lighting design, with a cleverly constructed interplay of light, film, and Depeche Mode’s own unique brand of electronica. Normandale takes full advantage of the MAC 2000’s hard-edged beams to create a strong visual look that mirrors the mood of the evening’s varied repertoire. At times the band are given an almost graphical quality by a silhouetting backlight of MAC 2000 beams. Normandale stated, “The MAC 2000s have been 100% reliable throughout the tour. The range of effects available is everything I was looking for.” Normandale uses 19 electronic ballast versions of the MAC 2000, not the first time he has used this fixture. He also used 6 MAC 2000 E’s recently on Ronan Keating’s UK tour. Martin lighting was supplied and operated by US suppliers Upstaging Inc. and, for the European leg, by UK based Lite Alternative. The Depeche Mode tour finished a 9 week run in the US in August and is currently on a 9 week European tour. Specifying a rig that is all spot fixtures is unique in the world of show touring. “A wash fixture, that’s all it can do, but a profile can do so much more,” Rich comments. “There are so many other elements - effects wheel and extra gobos in the 700 for example, and the gobos that come standard with the fixture are great. I was able to do a lot with them. Rich uses the 700’s gobo animation system extensively, throwing graphic effects in the air, stopping them for breakups, or, as a song goes through a scene change, activating it to rotate. On other songs he has them tailed down on pipes or aims them to graze across the velour drape. “It breaks up the image in an interesting way,” he says. “The 700s have really been flawless.” Rich also uses Color Kinetics ColorBlaze’s on the floor in back helping to light the drape. Downstage is key light from conventionals. Blunt spent much of the year scouring the globe on the Back to Bedlam Tour. In Paul Normandale’s production design, the show has a unique look based on the style of English seaside resorts. “The premise started from a couple of visuals James found,” says Normandale. “I coupled them with a modern slant, within a broad brief, including a regal theme, to tie in with some existing artwork from the album.” The imagery includes a monkey symbol from Blunt’s family’s crest. The set changes throughout the show and the scale of the video widens as the night goes on. The video is sometimes partially covered by an AC Lighting Color Web LED curtain, creating a layered look. According to Normandale, his strategy was one of frequent visual surprises. “It’s sometimes quite odd, I think, to be faced with a theatre box situation within an arena environment. The idea of the closed-in element of the show evolving into the panorama of the final song is central; the projection ranges from an introduction of animation that is 16 x 8' to a final wide screen of 56 x 30', largely due to the use of a motorized drape system of legs, developed and refined over quite a few years now on different projects.” Regarding the use of Color Web, he adds, “I felt that every three songs should see a shift in interest, from kabuki to Color Web, to projections on the cyc. It seems a pity to have all the technology and not explore the ramifications.” Upstaging, one of the tour’s many gear providers, supplied risers and a curved cyc for the production. At any rate, Johnson notes that the lighting has been designed by Normandale to support the star, not to overwhelm him. “When James sings with emotion, you don’t need any toys,” he adds. The video is delivered via an ArKaos media server, which is linked to the Hog 3. Speaking of the media server, Johnson says, “I can’t praise it enough. It has unlimited layers. We’ve never failed with it.” The server is used to run seven layers of video imagery, plus the three IMAG cameras. The video screen consists of R18 blocks from Barco. (On another control note, the lighting director notes that the Color Web, which uses 11 channels of DMX, is run using the Pixel MAD system off of a G5 computer. Many hands were involved in providing the gear for the tour. Part of the lighting rig came from UK-based Lite Alternative, with the rest from Upstaging. (Johnson also did additional programming at Upstaging’s Sycamore, Illinois home base.) The tour’s fabrics are by Hangman. Video gear was supplied by XL Video. Sound gear came from both England’s Skan PA Hire and America’s Sound Image. It’s been an extraordinary year for James Blunt. Johnson notes that the tour originally was booked for a few weeks, then kept growing—as did the size of the venues—until he became, he says, “the most extended tour I’ve ever known.” Still, he says, “James puts his heart and soul into every performance.” The Back to Bedlam Tour finally closes for this season this month. On May 10th James Blunt’s highly acclaimed world tour took him to the Hard Rock Live arena in Hollywood, Florida. The British artist’s tour sees him playing beneath a MAC rig of MAC 2000 Profiles, MAC 700 Profiles and MAC 250 Washes with lighting design by Paul Normandale. The Hard Rock Live show was a noteworthy stop on the tour in that it was filmed for a PBS special to be broadcast later in the year. To aid in the broadcast lighting, LD Tom Kenny (The Who, Page and Plant, David Bowie) was called on to share his expertise in television lighting. For the Hard Rock Live show production was handled by local company Beachsound and Lighting Inc.
“I’ve been using MAC 2K profiles and washes - both the 500 and 600 range and the 250s and 300s - for quite awhile now,” Tom commented. “I find their color temperature and focusing superb for the type of TV lighting I do.” For the Hard Rock show Tom also had MAC 2000 Washes at his disposal. “I chose MAC fixtures for the James Blunt PBS special purely because of their reliability on large TV shoots I’ve done in the past. It also helped that Paul Normandale and Glen Johnson had specified a MAC rig for the tour so I gladly used my usual MAC wash and profile package. As James Blunt's popularity grows, so grows his tour production. When the tour kicked off last year in the UK, it carried a Wholehog 3 console to control 900 LED fixtures in smaller theater settings. Now the tour’s been pumped up to 2,000 LED fixtures, and venue sizes are stretching to sheds and arenas, then festivals and stadiums this summer. So a Hog iPC backup was added to the gear list. The show, designed by LD Paul Normandale and supplied by UK’s Lite Alternative, is able to accommodate the burgeoning production and venue capacities – and lighting director Glen Johnson explains how this fact affected his choice of consoles. Why did you choose the Wholehog 3? [Johnson] The main reason for taking the console is the growing nature of the tour with our past leg being theatres, this leg being arenas and then festivals over the summer of 2006. We can just add lights to the whole show without needing to reprogram; we can change the fixture from one type to another without fuss. We’re controlling 2,000 LED fixtures via PixelMAD from the Wholehog 3 console. We've gotten some stunning effects from the Hog 3 with its Effects Engine™, buddy system (advanced group manipulation of fixtures) and grouping, coupled with the timing syntax. We also programmed the show using the Hog 3's hue, saturation and intensity system, giving us more color options from the units and also matching the video content. The Wholehog 3 software is fantastic with no issues whatsoever. Describe how the Change Fixture Type feature has been helpful on this tour. The ‘change fixture’ feature is a HUGE day-saving feature. We had a last-minute gig put in at the House of Blues Los Angeles and swapped our rig for a complete High End Systems rig [note: HES fixtures are installed in the entire HOB chain]. It was funny to turn up the night before -- with the venue lighting crew expecting me to work all night reprogramming the show -- only to be walking out two hours later with a completed show. We used the venue’s Cyberlights, Studio Colors and some extra Studio Commands and with a few button pushes of “Change Fixture Type” I had swapped our existing show to High End fixtures in minutes. This then gave me time to add some extra features to this one-off. I even had more Studio Colors than our existing rig of wash lights, so a quick [push of] Replicate Fixtures and ‘Bob’s your Uncle!’ there and the show was updated. Hours saved…. And more sleep for me after an 11-hour flight! You recently added a Hog iPC as backup. How is that working for you? Fantastic, as you would expect from High End, it works out the box and does what it says. The Hog iPC performs perfect and I ran a show on it just to check it all out and I couldn’t tell the difference between it and the Wholehog 3 console. I must admit I’m a big fan since (using it on) the Finn Brothers last year. It works fast and does what you want. Very neat and compact set-up as well. The (High End Systems) tech support I’m getting worldwide is truly second to none. Chris Ferrante, Brad Schiller and the rest of the team have a true passion to the Wholehog family of consoles, and no question too silly or for the tenth time seems to bother them in any way. We are flying the whole FOH for this tour with us around the world, as we are so confident with the build quality and reliability of the system we have. The rig keeps growing and will continue to do so. And the Wholehog 3 just keeps getting better. I just wouldn’t have taken any other desk. Blunt's 2006 winter tour plays the UK in February-March, hits the US March 13-April 6, followed by Australia/Japan. Blunt's Back to Bedlam CD has topped charts since October, with the hit single "You're Beautiful" recently topping US charts. A Wholehog III console ran the presentations at the International Business Systems (IBS) Summer Convention, held June 25-27 in Telford, UK. LD Jon Greaves from Lite Alternative and Board Op Glen Johnson of i-Lite Ltd. in Lancashire teamed up for the project, which drew 2,500 delegates to the Telford International Conference Centre. Says Greaves, "I liked the great design and size of the Wholehog III. I liked the 'feel' of it. I liked the color gel palettes -- what a good idea!" The feature he's referring to is the Color Picker, which allows the user to select familiar gel color numbers from Rosco, Lee and GAM colors. Because different lamp source temperatures affect the color, the user may also select which lamp source he is using -- a PAR can or a Source Four lamp -- and mix the desired color according to the lamp source for proper color mix. Worldwide - Lighting designer Paul Normandale used 104sq.m of Chroma-Q Color Web to provide low res visual effects for the stage set of the James Blunt World Tour 2005/2006. The BRIT Award-winning singer-songwriter has experienced considerable international success since releasing his debut album, 'Back to Bedlam' in 2005. The album has been a huge hit, becoming the UK's biggest selling album last year and reaching total worldwide sales of nearly ten million. Following this huge success story, James Blunt embarked on a sell-out UK tour at the end of last year, extended to a full world tour in 2006. After recent European and UK legs so far this year, the tour visits North America in March, with further legs scheduled for Australasia and Japan. 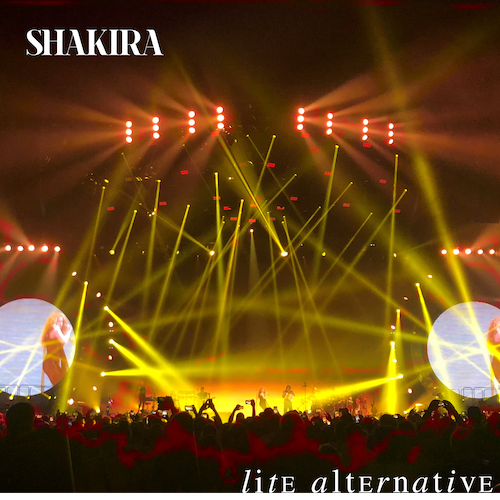 Lite Alternative's Paul Normandale was working on a set design for the tour and decided to make Color Web one of the main elements after being impressed by its modularity and fresh approach to providing visual effects. He commented: "I particularly liked the fact that it's lightweight, offers the chance to light through and indeed light the actual webbing itself, all offering diversity as opposed to solid products of a similar type. Its lightweight nature also means it can hang in a range of places and it's re-configurable, which is a real advantage when faced with lower trims, widths and weight limits as the tour moves round the different world regions." Paul's set design features two separate layers of twenty-five piece Color Web panels hung from back and mid overhead stage trusses spaced thirteen feet apart. The webbing is configured in an arc shape to allow a clear passage for video projections from a front truss onto a forty feet high white projection cyc directly below the webbing at rear of stage. Moving lights are hung directly behind the Color Web on the same trusses, so allowing them to light through the webbing for extra visual effect. 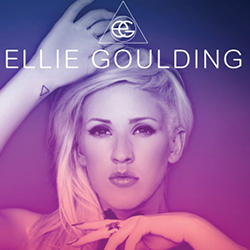 Color Web content is provided by combination of custom tour images - chosen by James Blunt from sources such as the album artwork - and library images, played back from a PixelMAD media server. Due to the product's quick and easy re-configurability, the production crew have the option of changing the webbing layouts to fit in with differing venue sizes on the upcoming North American tour. Glen Johnson, lighting director, commented: "The Color Web's very lightweight and robust, with some stunning looks via Paul's design with the moving lights hung behind the webbing. It's created a huge interest with the venues wherever we've been." Rob Hayden, tour manager for James Blunt, commented: "I was promised a new and innovative product which would add another element to our show and I've been very pleased with the end result. It's new and fresh and has many possibilities, and it's also good value for money." The full tour lighting rig consists of 104sq.m of Chroma-Q Color Web, PixelMAD media server, two r18's barco, one r12 barco, Arkos media server, Avo Art 4000 dimmer, Wholehog 3 lighting console, four Eytherlynx Artnet nodes, 40ft Black A Type, 80ft Stack truss and seven 1-tonne Lodestar motors. Fixtures include two DP2000s, 11 Martin Mac 2000E, five Mac 700, 11 Mac 250, six S4 profiles, six Omni, four 4-lites and one long throw spot. The Chroma-Q Color Web is designed and manufactured by Artistic Licence and distributed worldwide by A.C. Lighting. Chroma-Q Color Web is licensed by Artistic Licence, Color Kinetics and Super Vision. 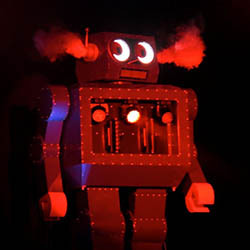 Lite Alternative's Catalyst system immediately went out of the Human League's UK tour, designed by Paul Normandale and programmed and operated by Rob Sinclair. Catalyst XPress is a cost-effective version of the full Catalyst package. It's now available through PID as a software only purchase - making the Catalyst universe more versatile and accessible to another layer of users and viable for small to medium tours - like Human League. Video runs in all but two songs of the Human League's set. Back in the 1980's, when they were rarely out of the charts, a slide show was an integral part of their stage presentation, and they wanted a return to visuals being the core of the show. Using the Catalyst XPress system has enabled them to run a complex show and opened plenty of creative doors. Rob Sinclair created the show's playback footage - an amalgamation of Human League archive footage, images from digital content libraries and new DV cam footage shot by Sinclair for the tour. They also use five lipstick cameras onstage, which are mixed into the Catalyst system via a D-TEK D-Mix Pro, also supplied by Projected Image Digital. Four audio inputs from the monitor console are also used to change specific section of video, and all visuals are mixed and output via the WholeHog II lighting console. The projector is a Sharpe V10, also sold to Lite Alternative by PID. Human League's tour itinerary encompassed a huge variety of venues - from sports halls to small theatres many of them challenged for space, so the whole lighting rig and visuals were designed to be shrunk or expanded as needed. Sinclair loves the system. "It's reliable and very stable" he states. He's also taking full advantage of the Catalyst's new 'remote' feature, allowing him to monitor what's happening in the onstage rack from his laptop at FOH position. Critics enthuse that Dave Gahan of veteran British electro-pop band Depeche Mode has never sounded or looked better. Touring for the first time in four years, the band are showcasing their new acclaimed album 'Playing The Angel' mixed together with classic hits from their vast back catalogue. Artistic director Anton Corbijn, visual director Blue Leech and lighting designer Paul Normandale created the visual concept to reflect an 80s space feel and the lighting was carefully selected to complement the tradition of a band with a history of visual spectacular as well as musical presentation. One of the key elements to both the set and lighting design is the custom-built futuristic looking stage facia and synthesiser stations. Perforated with small holes they house a total of 59 James Thomas Engineering's PixelPup LED fixtures. Paul Normandale explains: "I wanted a colour changing fixture that was bright and quick and would fit within a small space. The PixelPups tie in to the electronic responsive nature of the music and complement a range of custom fixtures that make the show something quite different. " The show is a two hour futuristic extravaganza of light and video executed with perfect timing by lighting operator Fraser Elisha. Motorised pods add another dimension to some of the songs, housing an array of fixtures including 16 PixelLine 1044s hung vertically in an interesting spiked array. The battens add a bright instant response to the quick fire electronic sequence of Depeche Mode's music - who are anything but fallen angels. Irish heart-throb, Ronan Keating, thrilled fans recently on his first solo arena tour, playing sold out venues across the UK and Ireland. Lighting designer for the tour was Paul Normandale who specified a variety of Martin MAC fixtures, including the electronic ballast version of the MAC 2000, along with MAC 500s and 600s. A.C. Lighting supplied the Martin fixtures to the production tour, Lite Alternative. Lighting operator for the tour was Graeme Feast. Complementing the luxurious red and gold stage set, Paul produced a dynamic and highly effective show on what is sure to be the first of many major tours for the popular artist.Commenting before one of the shows, Paul gave his thoughts on the Martin moving heads, "I choose Martin lights because Martin has a high realisation of the road reality of the product. I am particularly attracted to their features such as the high intensity of the output in saturates and the multi-gobos in fixtures." He continues, "As for the performance of the moving heads, they are 100% reliable and come with excellent technical back-up from Martin Professional." As part of the tour, Ronan treated his audience to a string of his chart topping hits, as well as a number of Boyzone hits. The big wow factor came at the end of the show with a spectacular finale, as Ronan flew out above the audience to a B-stage in the center of the arena, while singing his hit single "Life Is A Rollercoaster!" In total, Ronan played to around 250,000 people with the tour being hailed as a complete success for all concerned, including Paul and his choice of Martin Professional fixtures. 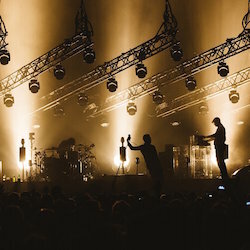 Boasting a smaller, more personal atmosphere, Move Festival at Lancashire County Cricket Ground in Manchester, unlike most other festivals, has only a single stage. But one stage is all you need. Held from 8th to 11th July, the four-day event sponsored by Virgin Trains is relatively young, only 3-years old, and describes itself as the country’s biggest urban-based festival. For the twenty thousand people that attended, an impressive line up awaited: The Cure, Madness, Pixies, Morrissey, Stereophonics and many more. Mel C is currently in the middle of a sell-out European tour. 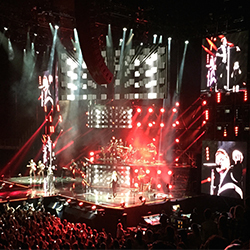 Spice Girls lighting designer - Peter Barnes - has designed the lighting for the tour, and with an impressive array of Martin MAC 500s and Martin MiniMACs, the show is sure to add that little bit of sparkle to anyone’s night. 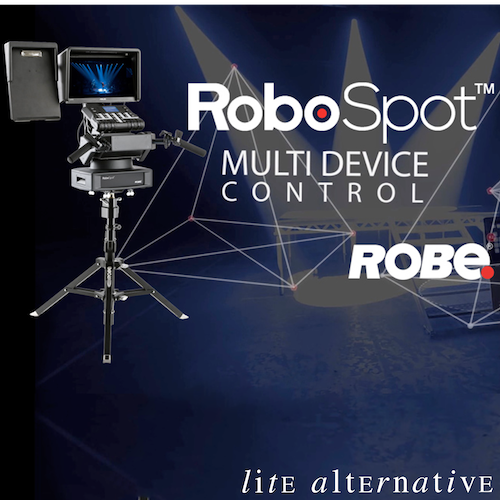 Lighting supplier for the tour, Lite Alternative, have a history of prestigious tours under their belt including “Tears For Fears” and “Bjork” in the early nineties, to more recent tours with big names like, “Ronan Keating” and “Lou Reed”. Lite Alternative is impressed with the way the tour is panning out. 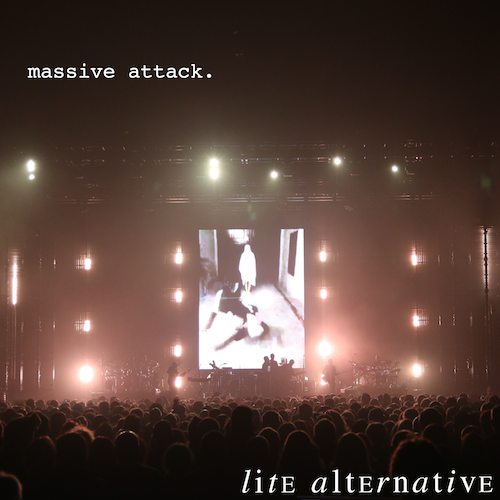 Lite Alternative’s Jon Greaves commented, “The tour is doing very well and has sold out in the UK. We are pleased to be involved as we have a good relationship with the Tour Manager Richard Jones and Lighting Designer Peter Barnes. They are easy people to work with”. One of the most acclaimed acts in independent music, the Pixies, have reunited for the first time in over a decade. The recently kicked off world tour sees the band playing both festivals and their own headline shows in Europe before hitting North America this fall. The highly anticipated tour has garnered rave reviews with lighting design handled by Paul Normandale, an industry veteran whose past lighting credits are impressive to say the least: The White Stripes, Depeche Mode, Lou Reed, Bjork, Tracy Chapman, Morrissey, PJ Harvey, Tears For Fears, Chameleons and others. Lite Alternative of the UK supplied MAC 600 washlights, MAC 500 profile spots, Atomic strobes and other lighting for the show. Paul, who states that he received no brief from the band for the show, relied on his past Pixies experience (he was involved with the band some 12 years ago) and suspects they knew he had an idea of what they were looking for. Paul also mentions that he sees the worldwide availability of the Martin gear as an advantage, and finds the Martin gear ‘useful and reliable’. “As it’s a spartan design it’s important that what is there works,” he says. Lighting designer Ali Bale specified 26 Martin MAC 2000 Profile moving lights as the workhorses of his lighting rig for the latest Supergrass tour. Blackburn-based Lite Alternative supplied the MACs, together with the rest of the lighting equipment. The MAC 2000s were joined by four Martin MAC Performance fixtures. Based on the original MAC ‘2K’, this new high spec luminaire is specially engineered for use in theatre and television. It incorporates many advanced features including a mechanized framing system and gobo animation module.